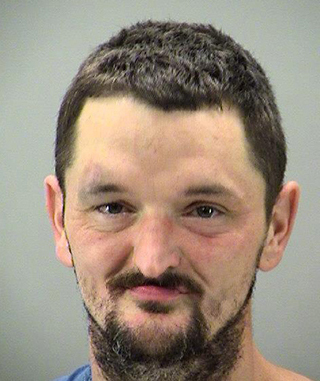 An Ohio man has pleaded guilty to public indecency for attempting to copulate with a red van parked on a Dayton street, court records show. Michael Henson, 35, was arrested in mid-August after police received 911 calls reporting that a man was “pulling his pants down and swinging on stop sign" and getting intimate with an auto. Henson communed with the van “for a while” before passing out in a nearby yard, witness Marjorie Evans told police. Seen above, Henson was hit with a pair of misdemeanor public indecency charges. In a deal with prosecutors, he pleaded to one count, while the other was withdrawn, according to Municipal Court records. Henson was sentenced to 60 days in jail, though the bulk of that term was suspended. While he was ordered to pay $111 in court costs, the payment of that fine was also suspended. He will, however, spend a year on community control and must undergo mental health counseling if required by probation officers. Henson’s rap sheet includes multiple narcotics-related convictions, as well as other convictions for public intoxication, theft, receiving stolen property, and carrying a concealed weapon.